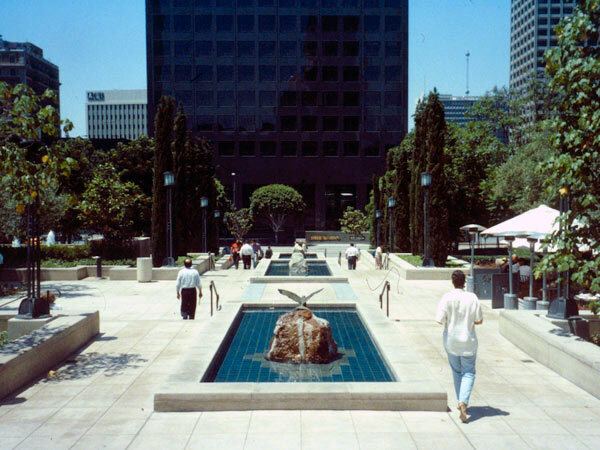 Completed in 1988 with preservation architects Hardy, Holtzman + Pfeiffer, developer Robert Maguire, and several visual artists, the gardens are linked to the Bunker Hill Steps by a pedestrian and mid-block crossing. 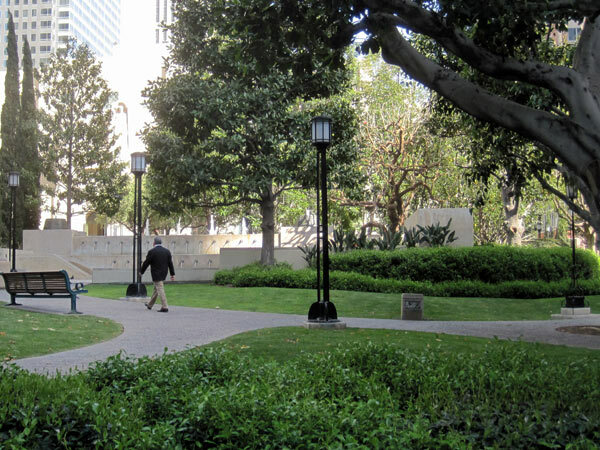 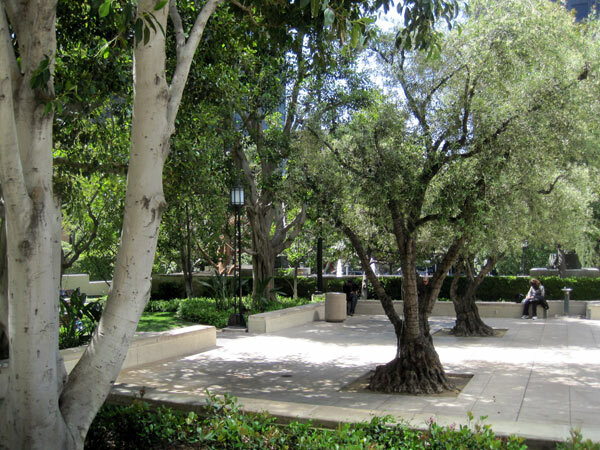 The space, occupying a former parking lot adjacent to the Central Library, was intended to be a passive public park, with a restaurant, outdoor dining terrace, fountains, pools, overlooks, site-specific public art, and a generous lawn. 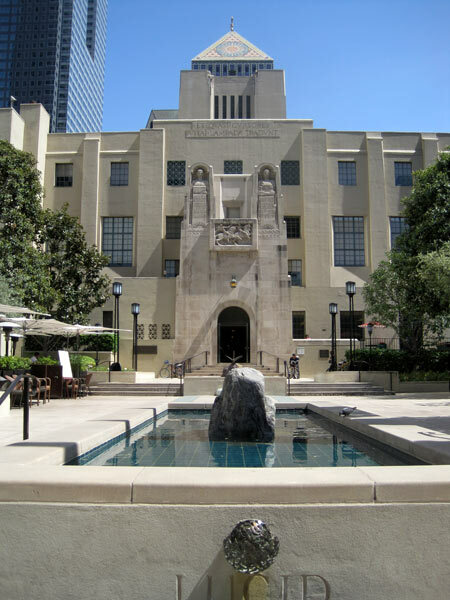 These elements, Postmodern in style, all contribute to a dignified setting for the iconic Egyptian Revival library building, originally designed by Bertram Goodhue in 1926. 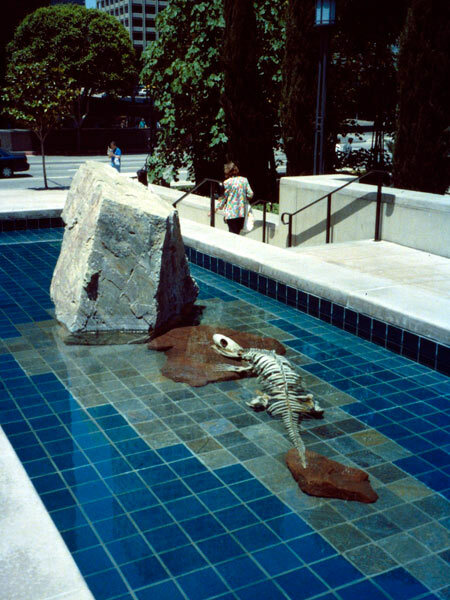 This project is unique in Halprin’s body of work, one of the only projects where a new design also addressed lost historic landscape features from an earlier era. 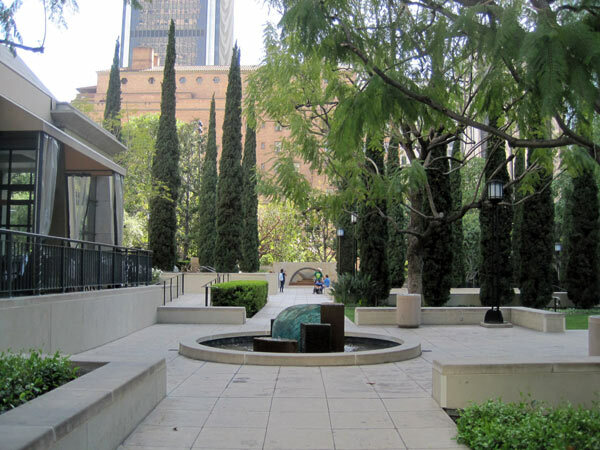 Halprin not only restored and drew inspiration from Goodhue’s stepped reflecting pool, but extended it westward from the Central Library to South Flower Street. 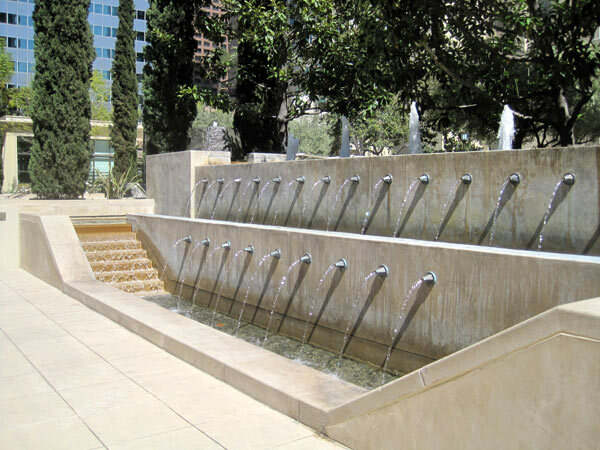 Building on this central spine, Halprin employed pools and associated axial walkways to spatially organize new outdoor rooms and guide people’s movements. 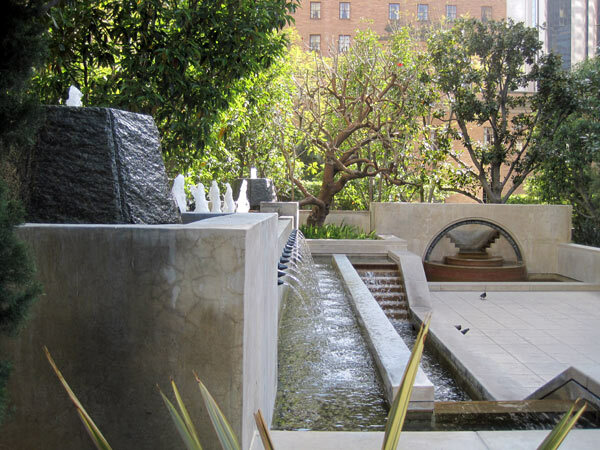 The art in the garden was designed by Jud Fine (reflecting pools, grotto fountain) and Laddie John Dill with Mineo Mizuno (Font Fountain).